What does Coca-Cola have in common with the iPad? How about Michael Jackson's "Thriller" album and the iPhone? They are four of the "10 Best-Selling Products In The World” included in a new Finances Online infographic. Featuring interesting tidbits about products like Lay’s potato chips (633 million bags sold each year in the United States), the Toyota Corolla (40.7 million cars sold since 1966), and Rubik’s Cube (350 million cubes sold since 1980), the infographic shows just how popular Apple products have become. Apple has sold 211 million tablets since 2010. 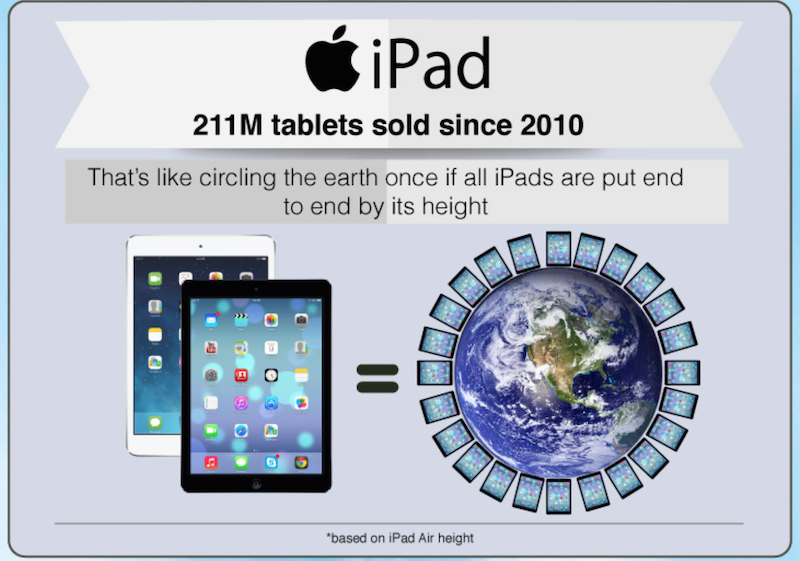 That’s enough tablets to circle the world at least once, assuming that each iPad is put end to end by its height. 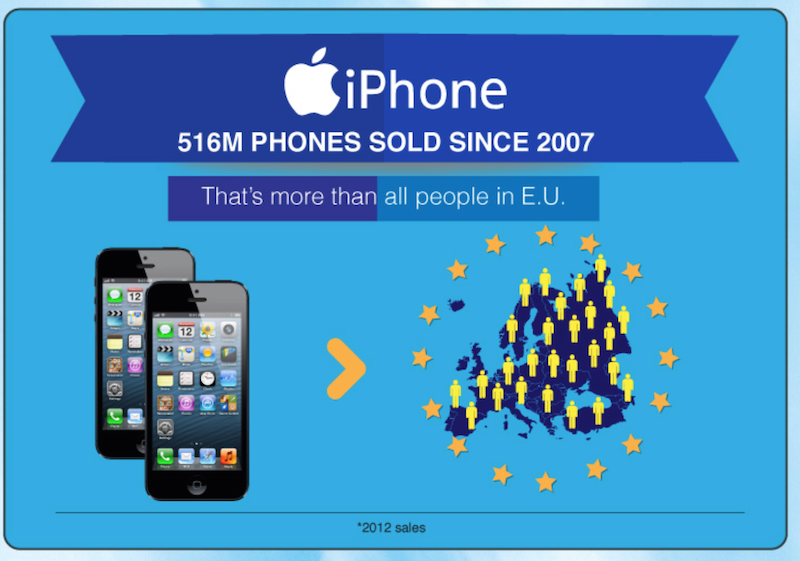 By contrast, Cupertino has sold 516 million iPhones since 2007. That’s more than the population of the European Union. Are you an Angry Birds fan? You’re not alone. 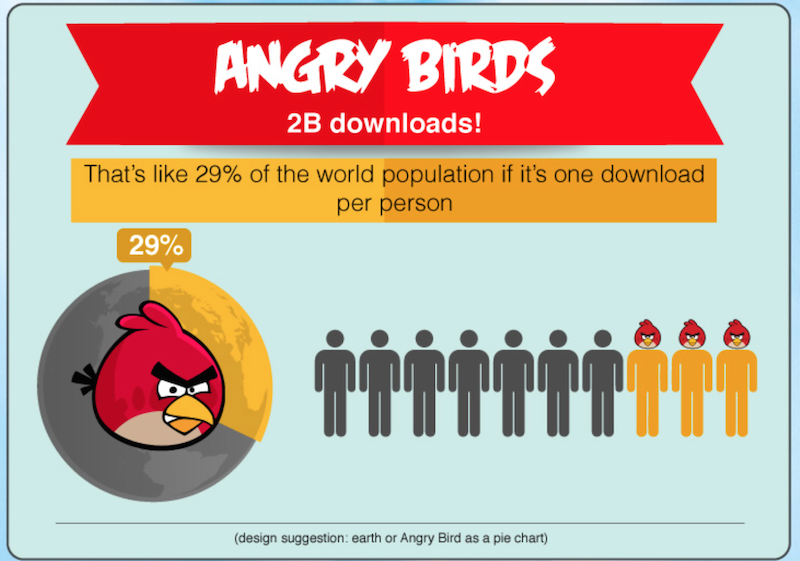 To date, games featuring the pesky birds have been downloaded 2 billion times. That's 29 percent of the world’s population. For more interesting facts, you can see the entire infographic here. See also: Apple's new ad showcases how the iPhone 5s helps people live their 'Dreams,' Apple Stores are now replacing iPhone 5s screens on-site, and Op-Ed: 3 ways to jumpstart Apple iPad sales.